What are free small business tools to grow your business? It’s often said that the best things in life are free. While unrequited love and friendship may be what the creator of the adage had in mind, we’d like to cheekily add “free website and small business marketing and branding tools” to the list. Every company claims to have the tool that can strengthen your marketing and branding strategy more effectively than all others. What’s more, with thousands of tools to choose from, it’s all too easy to bloat your budget trying to find the right tool that meets your company’s needs and objectives. This is precisely why we love that many companies are offering freemium or free trial plans. After all, do you really want to convince the higher-ups for a slice of the budget to buy a particular tool, and spend the time training your team to use it, only for it to turn out to be a complete dud? If you’re wanting to improve and better understand your marketing analytics with some impressive tools, but want to ensure you’re on the right track by trying before you buy, here are 4 of the most popular free tools on the market. How will it help my small business? MailChimp is perhaps most known for helping businesses easily create eye-catching email marketing campaigns that help elevate customer engagement levels. The site even has dedicated a page to explaining how MailChimp allows you to “welcome your new subscribers, reach out to people who abandon their online shopping carts, and win back lapsed customers” through such enticing things as happy birthday emails, targeted ads, customized order notifications, and personalized product recommendations. MailChimp offers a generous “Forever Free” plan, which lets companies send 12,000 emails per month to a list of up to 2,000 subscribers. So long as you conform to those limitations, you can use the plan, as the name suggests, forever. You don’t even need a credit card to access it. Of course, the range of free features is limited, with features like comparative reports, multivariate testing, predicted demographics, delivery by time zone, and chat and email support only available on the paid “Pro” plan. HubSpot offers a “full stack of software for marketing, sales, and customer success, with a completely free CRM at its core.” It is essentially an inbound sales and marketing super-tool that helps transform all facets of attracting and converting leads into an automated and near-effortless process. There are a wide range of tools you can take advantage of including, but not limited to: tailored content, offers, and outreach based on each lead’s behavior; drip campaigns; automatic tracking of social media engagements; and timed emails which are personalized to maximize customer engagement. 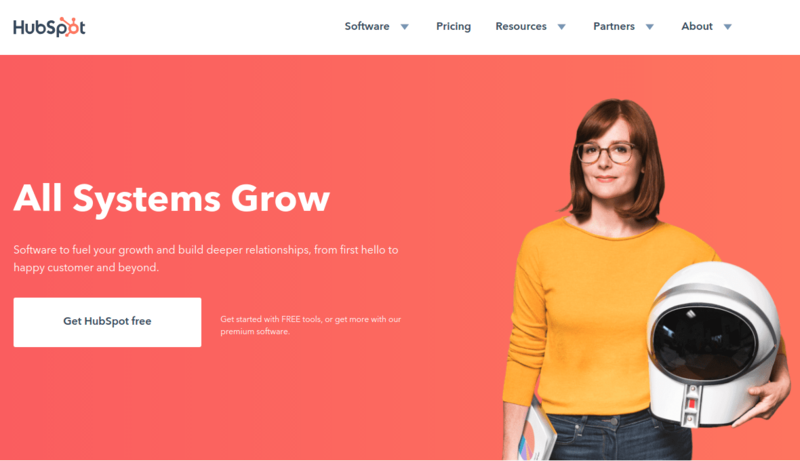 The company describes its pricing model as, “tools you can start using for free, and upgrade as you grow.” If you’re just getting started with HubSpot, you can kick off your experience with the completely free and time-limitless HubSpot CRM. Think of it as the foundation to which all of HubSpot’s free and premium tools are built on. Once your needs grow, or you are ready to test out other HubSpot features, you can get in on their freemium model of their “Marketing Hub” and “Sales Hub” products. 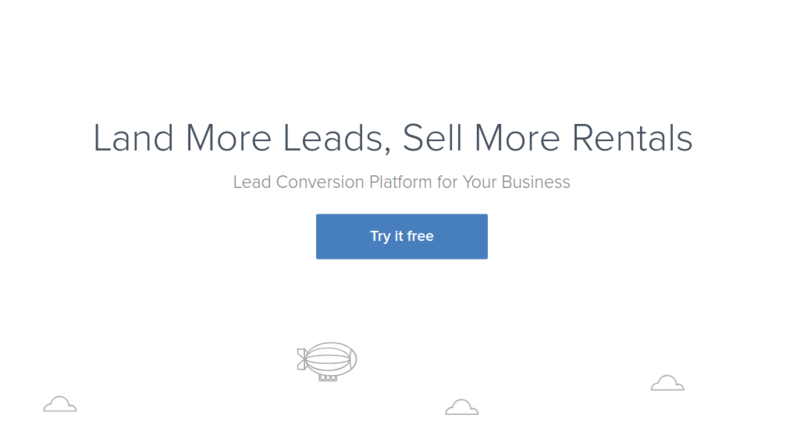 “Push your leads faster down the sales funnel with cross-channel marketing automation.” So reads LeadSquared’s introduction to its Marketing Automation Software, which has gained a growing number of fans in the marketing sector. What can you expect from LeadSquare’s comprehensive tool suite? Well, there’s drip marketing to guide leads down the conversion path. Email marketing campaigns to create captivating, mobile-friendly emails and newsletters. An easy-to-use landing page builder and website tracking tool to create website pages which are both designed for and responsive to the needs of your leads and customers. That’s not to mention the lead scoring tool and marketing list segmentation software. As a side note, while comparisons to HubSpot have been made ad nauseam, it diminishes both companies to simply say they are one and the same. While there are certainly similarities, as you can see above, there are a number of features which are unique to each company. If you want to test it out before committing to a paid plan, there is a 15-day free trial you can sign up for, with no credit card required. All marketing automation plans – “Basic,” “Standard,” and “Enterprise” – are available for you to try. So make sure to pick the plan which best reflects the number of contacts you have, types of marketing automation tools you need, and level of support you require. There’s a reason GetResponse can boast leading companies such as Hilton, Avon, and Citroën that use its “All-in-one Online Marketing Platform.” Offering a multitude of useful online marketing tools, GetResponse aims to support businesses to grow their online campaigns. For example, there is an easy-to-use landing page creator, complete with a range of templates that will help even novice users create optimized landing pages. Then there’s their email marketing tool which is targeted at increasing conversions through such features as a drag-and-drop email editor, autoresponders, and advanced analytics. There also offer a wide range marketing automation templates available to automate specific messages to draw your customers in, such as those for abandoned cart reminders, engagement and retention, and post-purchase. Furthermore, there is a website visitor tracking feature to utilize, as well as a scoring and tagging feature, which both work to help you automate the process of analyzing, segmenting, tracking, and responding to your customers’ behavior. If you sign up with your email, you can get a 30-day free trial without the need to hand over your credit card details. During the trial period, you can add up to 1000 contacts as well as test and use the account features. 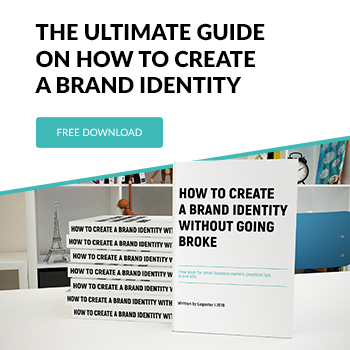 There are certain conditions and limitations to the trial, such as the inclusion of the GetReponse badge to every message you send from your free account, and a limit of publishing one landing page at a time. However, if you’re after a taste of what it’s like to use GetResponse, it’s a small price (or rather, no price!) to pay to get a first-hand experience using the tool. A captivating and fitting logo is one of the best ways to put your business on the map. After all, your logo is what represents your company both offline and online, and it says a lot about your brand. Coming up with a logo design, however, can be challenging. If you need a helping hand, Logaster is the place to head. You don’t need any design skills or experience to use our unique service. So you can think of our online service, LOGASTER™, as your full-time designer which can help you create and edit logos, corporate identity, and branded items. There have already been more than 8 million logos created with Logaster, so you can have the peace of mind that we know what we’re doing! Need to spark your creative streak with some existing ideas? Be sure to check out our Logo Inspiration page, which has countless designs to inspire your company’s next logo design. We’ll let you create and download a small-sized logo for free. We’ll also let you create numerous variations of logos and branded product designs. That way, you can get a proper idea of how your desired logo will both look and feel like on your site (as well as other websites). If you’re happy with it, you can purchase it in different sizes. If you’re not, then simply create another one for free! Remember using third-party tools can be beneficial, especially if you don’t have all the skills to create or manage marketing campaigns or create high-quality images or other content for your website – and when you’re getting started with a new business, a little help can go a long way! Are there any tools you’ve used on your site, that are free and have helped with the marketing and branding efforts for your website? Let us know if the comments below.